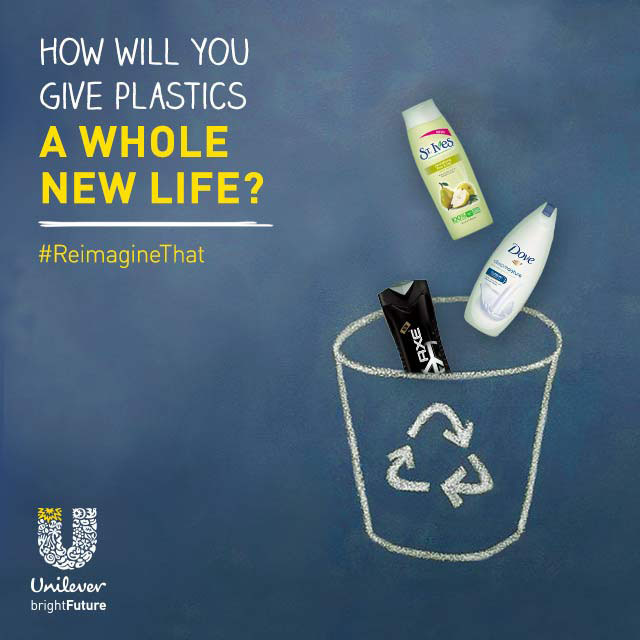 Do Your Part to Create a Bright Future and Win: Rinse, Recycle, Reimagine! The “Rinse. Recycle. 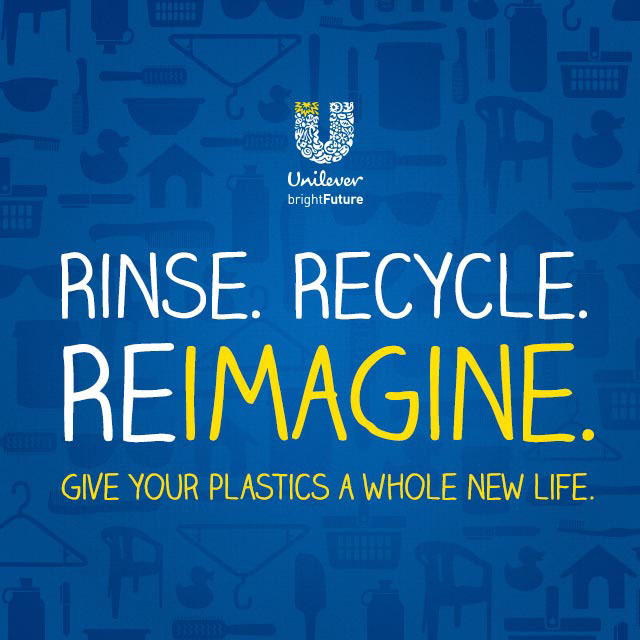 Reimagine” program is part of the Unilever Sustainability plan and aims to increase its positive social impact while reducing its environmental impact, a big thanks to the program for sponsoring today's discussion and hopefully influencing you to recycle your produtcts! This may surprise you but Americans are more inclined to walk farther distances to get a drink when thirsty, charge their phone, or answer a phone call, than walk an empty plastic bottle from the bathroom to the recycle bin. As a result, these easily recyclable bathroom products are contributing to nearly 29 million tons of plastics in landfills each year! That's a lot of plastic that could be reused but that is instead going to just sit there for many, many years - what a waste of good material! Unilever has teamed up with Keep America Beautiful, the Ad Council, and me and my little blog to help spread the word about recycling in the bathroom! Think that empty shampoo bottle is worthless and unusable? You are sorely mistaken, rinse and recycle it and you could end up using that same shampoo bottle again, it'll just be recycled into a hairbrush, backpack, or even a swing set in your backyard! It's pretty amazing that we are able to reuse so much and we need to start embracing this fact if we are going to continue growing as a society. If you are like me and twenty percent of American's, you probably have a collection of bathroom products that seems a bit unhealthy. A range of shampoo and conditioner, a collection of body wash, a handful of perfume bottles, a couple of lotion bottles, and the list can go on! You may be thinking, but I can't recycle this or that, and while I understand the confusion on what can and can't be recycled, did you know that there's a website that can help you figure all of that out; to find out what qualifies items for recycling in your area and to find out what your plastic bottles could become, go to iwanttoberecycled.org/bathroom! Want to win something for helping to create a bright future? 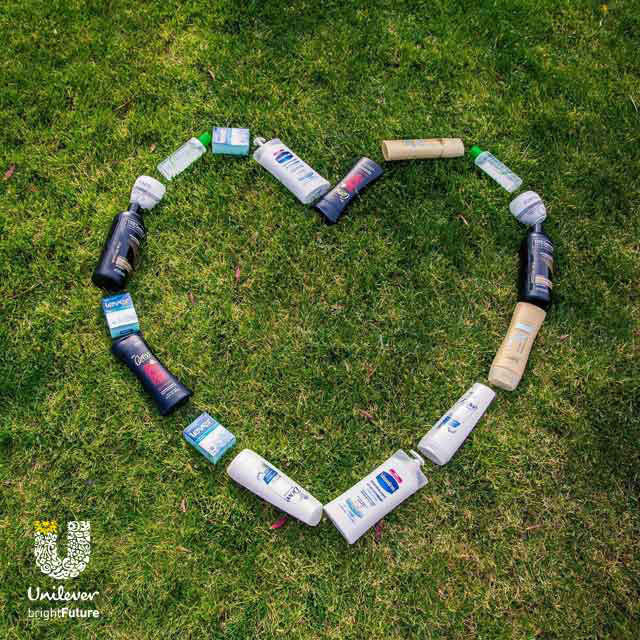 Unilever is hosting a pretty awesome sweepstakes and you have the chance to win all kinds of prizes daily or win the $500 grand prize! 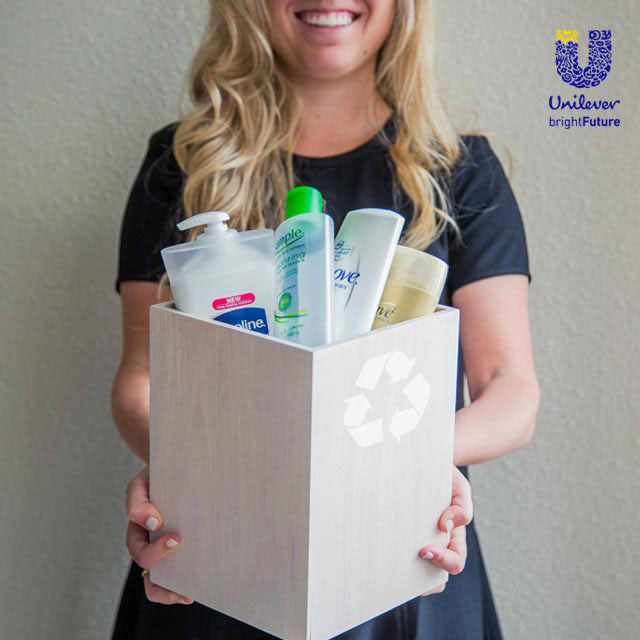 The sweeps is going on through June 9th and you can enter via Twitter.com or Instagram by uploading a photo showing off how you recycle in your bathroom with the hashtags #ReimagineThat and #sweeps and tagging @UnileverUSA!